This sixteen foot diameter bookcase was made of alder and constructed in five sections that bolted together after it was finished and delivered to the jobsite. 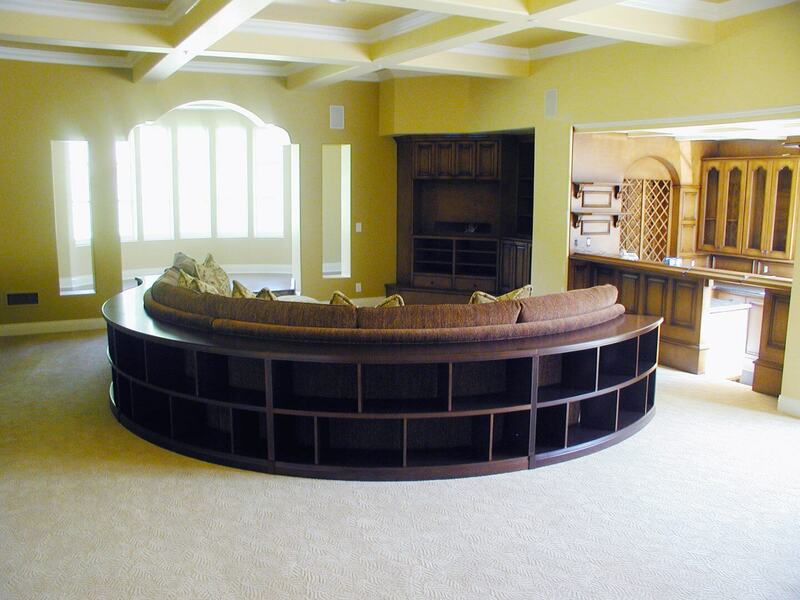 A custom sofa was built to fit inside it for television viewing in the client’s family room. (Picture taken prior to the room being furnished). 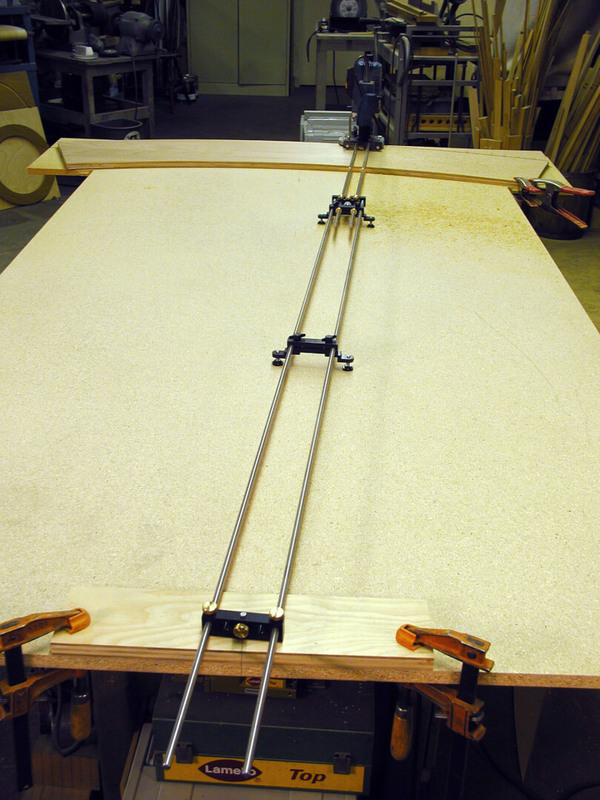 Curved components were cut with a bench-top routing circle jig with an 8′ reach. 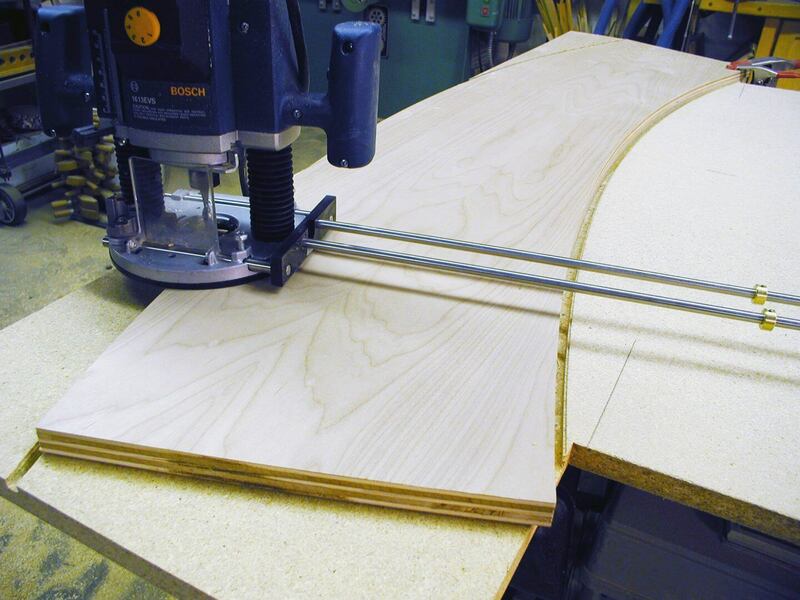 Rectangular ‘blanks’ of alder plywood are cut to their circular forms for identical top, fixed middle shelf and bottom components. 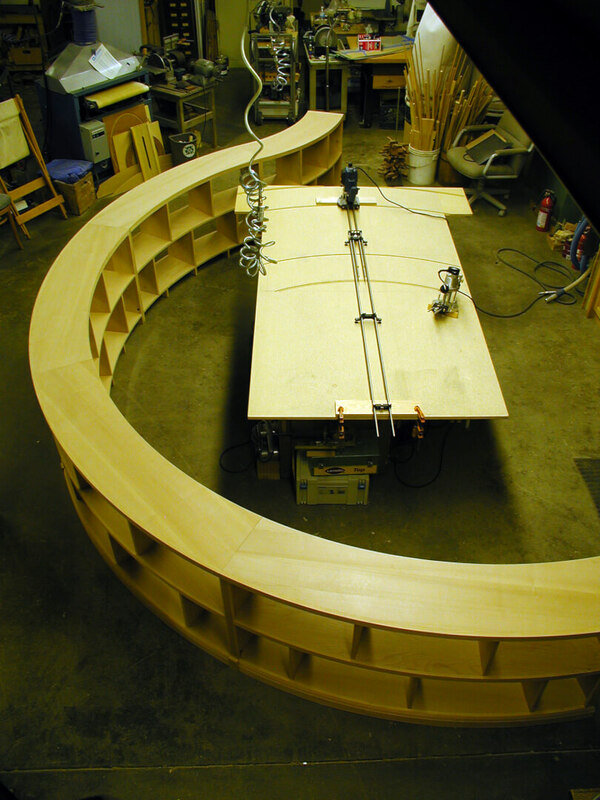 Base moldings and alder edge-banding are glued to the convex curve of each of the five bookcase segments. 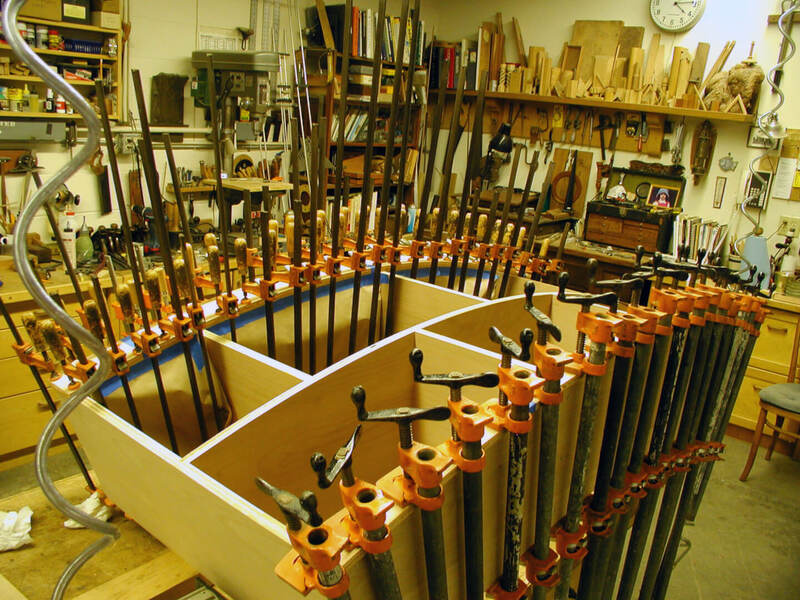 The assembled five individual cases are joined to become the 25′ long bookcase. This view shows the reverse-curved final section. The joints between each section are covered by a fluted column. 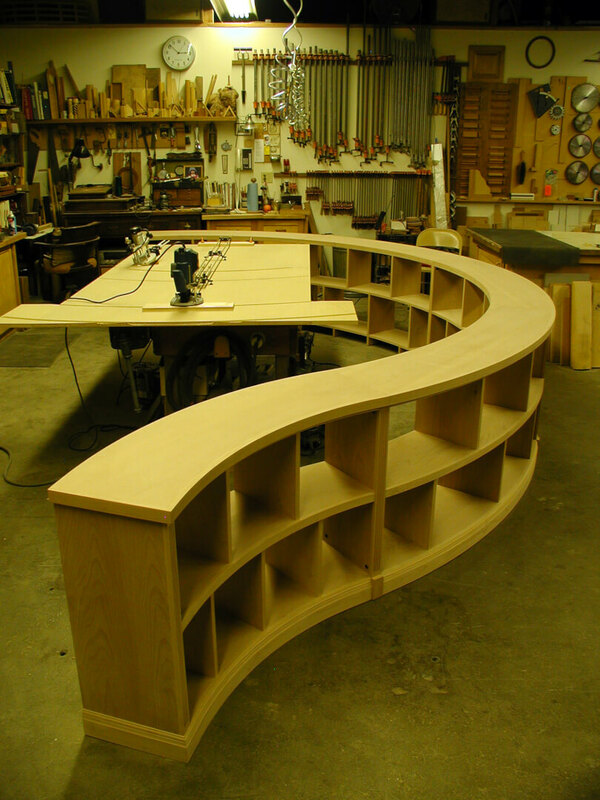 The assembled bookcase curls around the workbench with the routing jig just before the staining and finishing process. Part of the job was to create a template for the sofa-maker to work from so that the case and couch would nest together properly.